The whole point of esoteric practices like the Tarot is to reestablish the natural system of the divine triad with the Higher Self or Super Conscious as the director, the ego as the personal assistant or executor of the will of the Higher Self, and with the subconscious/physical body as the energy source, and place for manifestation on the material plane. In order to experience the harmony of the divine triad, the Tarot teaches us to purify ourselves of all unconscious thoughts and emotions. Higher awareness is always a conscious choice, not a default condition. 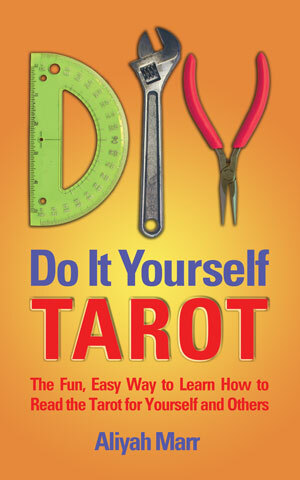 The purpose of tools like the Tarot is to put you in contact with your Higher Self by accessing your natural intuition. In order to do that, you must learn how to choose your vibrational signature. As long as you consistently resonate with the frequencies of the lower emotions and dense, disempowering belief systems you cannot “hear” the messages of Spirit, or your Higher Self. If you cannot hear the voice of your Higher Self, you are like a boat without a rudder on the sea of life. Not everyone sees the Tarot as I do, as a tool for personal empowerment and evolution. 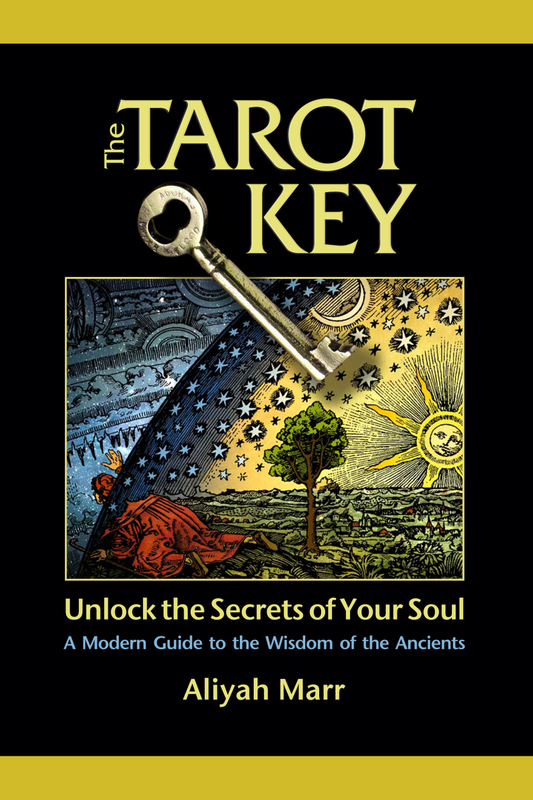 Chances are if you are attracted to this book, you resonate with this philosophy, and are intrigued by the subliminal, universal messages that seem to underlie the card images and titles. To me, the deck shows a system for understanding the underpinnings of duality, while it hints at the larger reality that lies underneath. What I call the Higher Self or Spirit is not God, it is the larger part of you, the part that could not come wholly into this level of density, this material existence. The self-conscious is the ego/mental body that thinks (erroneously) that it has to be in charge. The subconscious is the emotional/physical body. These together form what I call “the divine triad” of the enlightened individual. Most of us are not able to overcome the ego; however we try, we always fail because the ego cannot be fought or overcome. If the ego dies, so does the whole person. 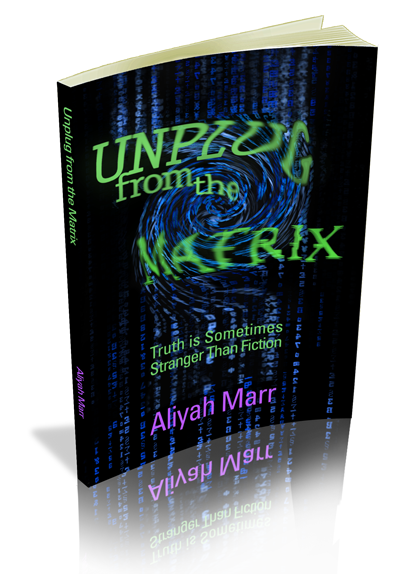 The only way forward is to demote the ego from its position of control, which it assumed upon entry to the Matrix, which features power over others as a theme and fear-separation as its core programming. You have to make friends with all parts of yourself in order to achieve harmony, cooperation, and wholeness. The enlightened individual goes from a being at war with himself to a being at peace in whatever world he finds himself. The implicate or sea of awareness was known to ancient mystics, and alchemists; it is what the mystics might refer to as the cosmic mind stuff; it is a sea of consciousness that underlies everything else. In the Tarot the quantum implicate is represented in the card The High Priestess, while the explicate, or unfolded order is the world of appearances, represented in the next card in the Major Arcana, The Empress. The Empress card represents the natural world of matter — Newtonian physics. The world of the senses is the result of the energy, or rather the potential, underlying the form, the quantum implicate represented by The High Priestess. 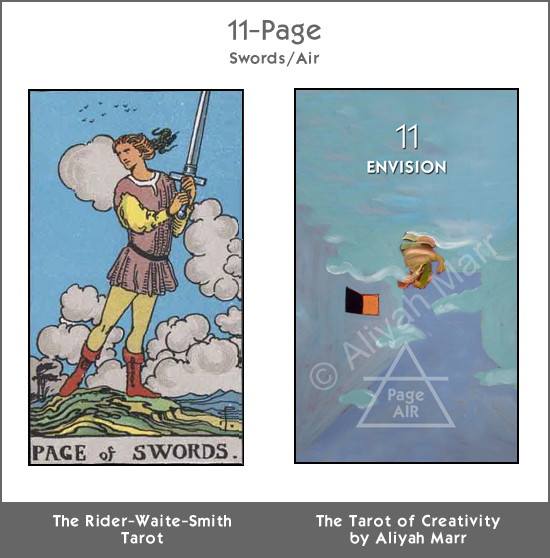 The Tarot teaches the principles of the universe and what happens with the application of directed consciousness in the first seven cards of the Tarot. 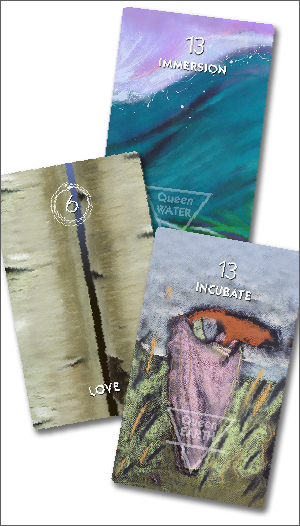 The Tarot allows us to tap into this awareness through our intuitive interpretation of the images on the cards. “Synchronicity” was another unique term coined by Carl Jung. Synchronicity is the occurrence of two or more events that appear to be meaningfully related but not causally related. Synchronicity holds that such events are “meaningful coincidences;” it implies that, just as events may be connected by causality, they may also be connected by meaning. Man is compelled by his nature to search for meaning — he is compelled to make order out of apparent chaos. This organizing principle of the mind may be what creates reality itself. According to mystics, reality was created by the cosmic mind as a mirror for the consciousness of Itself. The phenomenon of synchronicity that Jung defined is one of the ways for the connected nature of the underlying reality of consciousness to reveal itself. In a game such as the Tarot, the natural process of synchronicity is given free play. The randomizing of the cards initiates the process, as you clear your mind of all preconceptions or wishes. Then as you deal the cards, you find that the cards seem to reflect an inner voice. The relationship of the cards to each other and their positions in the spread are all meaningful, and are interpreted according to knowledge and beliefs that you already have. When you put this together with the question you asked, the information becomes even more personalized, and intimately meaningful. Perhaps the Tarot should be called the “synchronicity game,” a device that allows the Higher Self to use the magic of synchronicity to speak to you in a language of images and words. The running of a random computer program, or a good card shuffle, allows synchronicity free play. And it allows the mind to peer behind the curtain of the holographic universe to see how consciousness creates reality, as in the famous “double-slit” quantum experiment, where the expectations of the viewer influenced the (apparent) outcome of the experiment. Quantum mechanics is a form of physics that is subject to the rules of consciousness, rather than to the rules of density or physical matter. Consciousness rules the world of the subatomic; it is the energy behind the world of appearances. The quantum nature of consciousness and the way the mind is geared engenders the eventual realization that there is no such thing as empirical reality; because without the existence of an objective observer who can stand outside the experiment, there is no chance that an objective reality exists. It would mean that there is no tree that can fall in the forest without someone to hear it fall, or more precisely, without someone to expect it to make a sound when it falls. Someone once defined God as a principle of wholeness, and this is the best definition that I can find; it supports the ideas found in the symbolism of many ancient philosophies and esoteric knowledge worldwide, and in the images of the Tarot itself (see the definition for the symbol CIRCLE). Since the Tarot shows us archetypical images of goddesses, angels, and devils that might seem to support certain beliefs, I think it is necessary to address what I see as the higher purpose of the Tarot. To do that, I will try to define as best as I can the underlying concepts and terms that are in this book. The Tarot is meant to be taken symbolically, not literally. For instance, the Devil represents an archetype of the misuse of power: in the Tarot, the image of the Devil is the reverse of The Lovers card. The principle of Love shown in The Lovers/LOVE card, indicates a holistic awareness, inclusion, unity consciousness, acceptance, equality and abundance; the Devil is the opposite side of the coin, indicating a focus on a materialistic view to the exclusion of everything else. Believing in the Devil lends power to this concept of separation, thereby increasing the archetype’s influence. You give this concept life by believing in it and contributing your emotional power to it. This is why the Devil card in The Tarot of Creativity is titled “The Shadow.” To Carl Jung, the archetype of the Shadow defines everything in yourself that you cannot see, or don’t want to see. It is an archetype that is understood the world over. Why? Because the creative system of duality requires shadow to balance the light. Or rather, the shadow defines the light as the light defines the shadow. A dualistic system creates out of the polarity of opposites; it can be no other way. Without the negative side, the system of duality would be like a teeter-totter that has only one side, or like a person trying to walk with only one leg. To anyone with the slightest interest in mythology, the archetypes in the Tarot are clear to see. For example, a goddess or god represents a guiding principle for humanity: the universal concept behind the figure is what makes it an archetype. An archetype is a symbol that conveys a universal concept, usually in the form of an image, that is instantly understood no matter its geographic origin; archetypes transcend cultural boundaries and temporal beliefs. Christ, for instance, represents a universal archetype of the principle of Love. The Christ Child, in his innocence (lack of beliefs) and purity, sends a powerful message about how to achieve enlightenment by returning to the original state of innocence and purity of purpose that we had in the Garden of Eden. His message is to become “like a child”— in becoming like him, you are able to “ascend” in frequency through the power of unconditional love. It doesn’t matter whether you believe that Christ is God, or whether you think he was an ascended master, a prophet, or simply a good man. His example communicates an archetype that embodies the principles of wholeness, unconditional love, and unity that speak to all of us. The Tarot is an ancient tool for self-actualization that gives you to access a vast library of intuitive, innate knowledge that may be otherwise inaccessible to you. From the view of the scientist, you are using the visual side of your brain—the right hemisphere—when you look at the images on the cards. An anthropologist or art historian may see that you are digging into a long-buried treasure house of cultural clues. A psychologist would immediately see the archetypes in the images of the Major Arcana. The study of the Tarot is a deep probing into the nature of the deeper reality that underlies all things; an attempt to understand that which can never be completely understood by the rational brain. The depth and breadth of that knowledge is simply much vaster than the human mind can comprehend. It is our nature to seek a single all-inclusive answer for all the questions that constantly elude us, but failing to find it doesn’t stop us from seeking it. The Tarot is the search for the Holy Grail — the well of creativity, wisdom, and personal power that lies within us. The Tarot is a magical work of art that changes with each viewer, and with each reading. It is a map of human consciousness that is responsive to the degree you are open to what it has to say to you; it teaches you more about you every time you read the cards, even if you read for someone else. Collectively, the cards are an interactive spiritual book of ancient wisdom. Each card is a door to information that slowly reveals itself to you over time. It takes the same qualities to be an artist that it takes to read Tarot: openness, intuition, an understanding of symbols, and general visual literacy. The images on the cards show a fluid landscape of symbols and universal archetypes that are surprisingly modern and timeless in their import. The Tarot is us: it is the seeker and the sage, the answer and the question, the quest and the Grail, all at the same time. The Tarot asks the same existential and universal questions that mankind has asked since the beginning of time: What is out there beyond our senses? How can we access our true creative power? And how can we understand, align, and create with the forces in our lives? 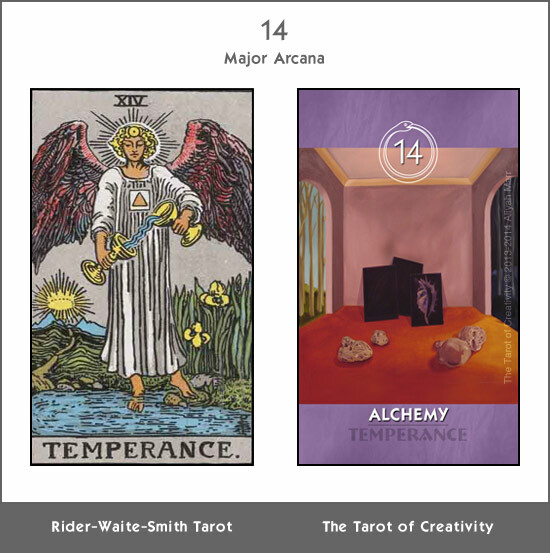 The art of the Tarot is best represented by the Temperance/ALCHEMY card, which demonstrates the magic of creative synthesis and the alchemy of deliberate creation. Reading the Tarot involves a creative synthesis of the Reader’s personality, intuition, knowledge, and wisdom, married in a mystical union with the Reader’s Higher Self, achieved through the medium of the pictures and numbers of the cards. Whenever we read the Tarot, we are participating in an intriguing tradition of self-discovery, remembrance, and creative envisioning that reaches back into the mists of time, and prepares us for our journey into an empowered future. A young man waves a sword in front of turbulent clouds. The Page of Air shows you how to edit out thoughts and beliefs that do not serve you. This gives us enough space so we can envision something different. You don’t have to spend hours meditating, you can do this as a practice during your normal day. Attaining a state of bliss, or being in the NOW, is a matter of accrual — bit by bit, you can add to your inner silence by being present for small moments during the day. Once you have accrued even a small measure of inner silence, your creative abilities simply open up. Cut through the confusion and be present in the Now. In classical thought, the four elements earth, water, air, and fire frequently occur; sometimes including a fifth element or quintessence (after “quint” meaning “fifth”) called aether in ancient Greece and akasha in India. The concept of the five elements formed a basis of analysis in both Hinduism and Buddhism. In Hinduism, particularly in an esoteric context, the four states-of-matter describe matter, and a fifth element describes that which was beyond the material world. Similar lists existed in ancient China and Japan. In Buddhism the four great elements, to which two others are sometimes added, are not viewed as substances, but as categories of sensory experience. The ancient Greek belief in five basic elements, these being earth, water, air, fire, and aether, dates from pre-Socratic times and persisted throughout the Middle Ages and into the Renaissance, deeply influencing European thought and culture. These five elements are sometimes associated with the five platonic solids. In the TOC deck, the suits show the creative process from inspiration (Wands/FIRE) to thought (Swords/AIR) through emotions (Cups/WATER), and then finally entering the material plane (Pentacles/EARTH). This order is not the same one that most tarot scholars follow. 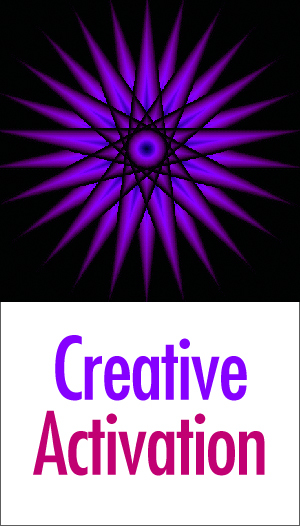 My system comes from the insight I had when I wrote my first book, Parallel Mind, The Art of Creativity. I was following the genesis of emotions and their role in creating the physical reality. In the unenlightened individual, the system of creative manifestation takes an unconscious turn, still manifesting, but in a way that doesn’t serve the greater evolvement of the individual. The monsters of undigested fears and overwhelming negative emotions populate the dreams and the reality of the person’s field, eventually spilling out like a sickness into the collective conscious. 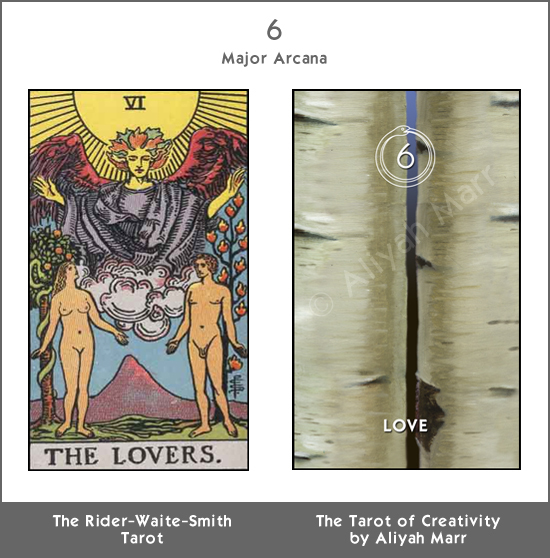 The Tarot contains many archetypes, especially in the Major Arcana. You could say that the lower cards are related to folklore and fairy tales, populated with common folk, animals, and royal courts; these cards represent the common, lower paths of personal development. The archetypical images in the Major Arcana are related to the esoteric mysteries of consciousness and the structure of the universe. The lower cards delineate a practical path through one of the suits, but each suit is a path of realization in itself. The trumps represent the path of the esoteric student. The lower cards show the minutia of daily life — the trials and tribulations of ordinary consciousness — while the higher “trump” cards represent universal concepts related to self-realization. The aces represent the distilled energy—the seed energy or essence of each suit. As such, they could be said to be both higher and lower than the court cards, just as in a regular playing deck. Aces are related to their numerical equivalent in the Major Arcana: Key #1, The Magician/ATTENTION, who presents the tools of earthly existence to the newly incarnated Fool. The Ace has no direction of its own; they are filled with raw potential. They are the energy of the suit, ready to be directed by consciousness. The Aces represent raw or initial passion, feelings, thoughts and needs that can be directed into something more. They represent hope, a possibility, an action to take, a future that you can create. The aces demonstrate the promise of the power represented by their respective suit: each suit opens up a path that when used together allow us to create on the material plane. What do the Suits in the Tarot Signify? The suits represent the four worldly paths to personal mastery through natural human qualities; these can be either weaknesses or strengths, depending on the card, the orientation of the card, and the other cards in a reading. The suits in the Tarot are analogous to the four suits in a playing card deck, but they contain one more card in the court cards, for a total of fourteen cards in each suit. The suits each demonstrate one of the paths of the seeker, and shows a progression of understanding as the numbers increase, with lessons at each stage or number. Each suit represents a path or tool on the journey of personal evolution, and are seen as representative of the four elements of the Earth. The final fifth suit is the Major Arcana, which represents the path of mastery. Jungian psychology contains a few key concepts that can be used to show how the Tarot might work. Carl Jung coined the term “archetype;” he believed that there was a collective conscious shared by all peoples, no matter their native beliefs or culture; archetypes are the universal fruits of that consciousness. Archetypes are very powerful symbols that directly communicate with a part of our brain that deals primarily in images — the right brain. Each image holds a great deal of non-verbal information which is much more accessible and direct than verbal or written language. 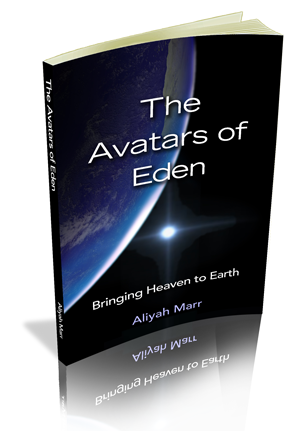 …The journey of the Self started with undifferentiated consciousness: humans and animals in the Garden of Eden lived side-by-side in a state of total harmony and bliss. Once humans made a choice to pursue individuation in the search of self-knowledge — by choosing the apple, which has the sacred symbol of the pentacle, the number of man, at its heart — they had to leave the garden of bliss, and journey through lower forms of consciousness. The self-conscious is the newest kid on the block in the story of evolution; no animal has the kind of brain that seeks to know itself. Our nature forces us to be self-reflective. Self-reflection is how the cosmic mind experiences ego (individuation). Once we integrate the new self-conscious with our total self, we will once again find ourselves in the Garden of Eden, because we will have rediscovered Oneness inside the experience of individuation. We will have come to recognize the divinity inside duality. LOVE is the title of The Lovers card in The Tarot of Creativity, but this is not the imperfect love of the spiritually immature; the love referenced here is unconditional love. …The Lovers/LOVE card shows us how to deal with Duality at the highest level, that of non-judgmental acceptance, which is actually unconditional love. This is the card of the “Divine Other,” the recognition of how to reconcile the state of duality into a working partnership. Which duality? Essentially, that which is inside ourselves. Superficially, this is the Anima (female) inside the male, and the Animus (male) inside the female, but the meaning of this Tarot card goes much further than Jungian psychology. Treat everything around you with LOVE — and you will see LOVE reflected in everything around you.